Aloe Blacc is an interesting artist. Not raised poor like a lot of rappers, his home town in Laguna Hills Orange County, California, he is anything but working class. That said, he has an incredible affinity with the origins of soul, blues and gospel that you could forgiven for thinking ‘I Need A Dollar’ was his personal life mantra. Now happily married to Australian hip-hop artist Maya Jupiter, and having just had a child, Blacc releasing an album was not really on anyone’s mind. ‘Lift Your Spirits’ is a beast of an album. Melding seamlessly the sounds and thoughts of blues with the ever present gospel voice and kicking beats care of some of hip-hop’s best US producers; this is a surprising revelation in the modern musical media of popular culture. The inception of the album comes from the heart and shares some themes with previous entry ‘Good Things’. But this time around, Blacc is no longer a no-name artist. 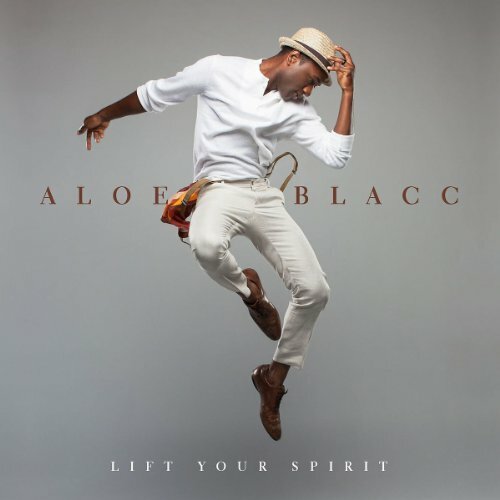 ‘I Need a Dollar’ shot him into the stratosphere of industry notice so his third album under the moniker Aloe Blacc had preceded thoughts of greatest attached. America is going silly over latest single ‘The Man’ which has Beats by Dre founders using it in American Idol and other promos making it #1 on the iTunes charts for a bit now. The other released track from the album, ‘Wake Me Up’, should be instantly recognised by Australians as the voice and recording behind the summer hit collab with Avicii. But don’t let that turn you off, these are strong songs in amongst even stronger tracks which line up pound for pound across the whole release. ‘Soldier In The City’ reminds me of funkier times, like wearing a mink fur coat and pimp stepping down in the Bronx on the way to the black panthers meeting. Its like being transported to a time in history more a caricature than reality, but fits snuggly in the ethos of Shaft, Pam Greer and the best Blacksploitation movies ever. Similarly ‘Love Is The Answer’ is a prime example of what a great singer and a potentially great producer can create. Blacc is accompanied and produced by Pharrell Williams on this track and the design and flow makes the NERD and Neptunes guru shine. Speaking of Production, it speaks volumes about the quality of the record. Not Just Williams features across the album, in fact there are four formal producers. Individual tracks are produced by Williams, Theron Feemster (Michael Jackson, Eminem, 50 Cent,) and Rock Mafia (don’t ask), but the bulk of the record is produced by Californian artist and magician, DJ Khalil. Khalil was the major producer alongside others for the most recent Eminem album, ‘Marshall Mathers LP2’ as well as many more than can be listed here. His influence over the production in restrained and at times minimalist; which really gives Blacc the space to breathe life into the album. Blacc seems to be part of a growing cohort of American artists resurrecting the roots of soul in the modern era. Alongside Citizen Cope, Cee-Lo Green and Bilal; Blacc is a king among a select few. This album is probably incorrectly filed under hip-hop but with contemporary soul/funk not really being a popular category, its probably more appropriately defined as *real* RnB. Not that trashy gangster crap but true rhythm and Blues, self-styled soul and head-nod funk. It even breathes some folky notes in the awesome track ‘Here Today’; which again feels like being transported to another time. Blacc and Khalil have hit the nail on the head with this one and I hope others notice it as well. 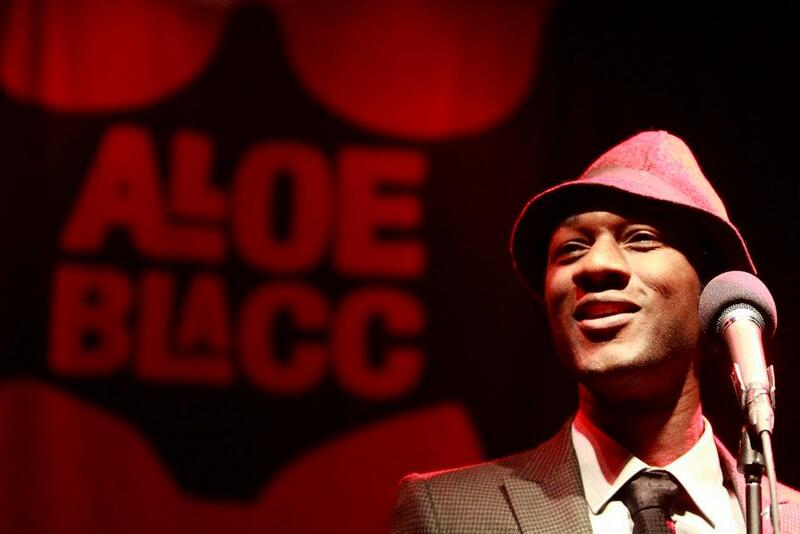 Aloe Blacc; Strange name, gorgeous voice. That’s him in a nutshell. Call it retrospective, call it progressive; call it what you want. I’m gunna call it brilliant. Lift Your Spirit is a joy to listen to and I can see it making a high rotation spot this year and we’ve only just begun.